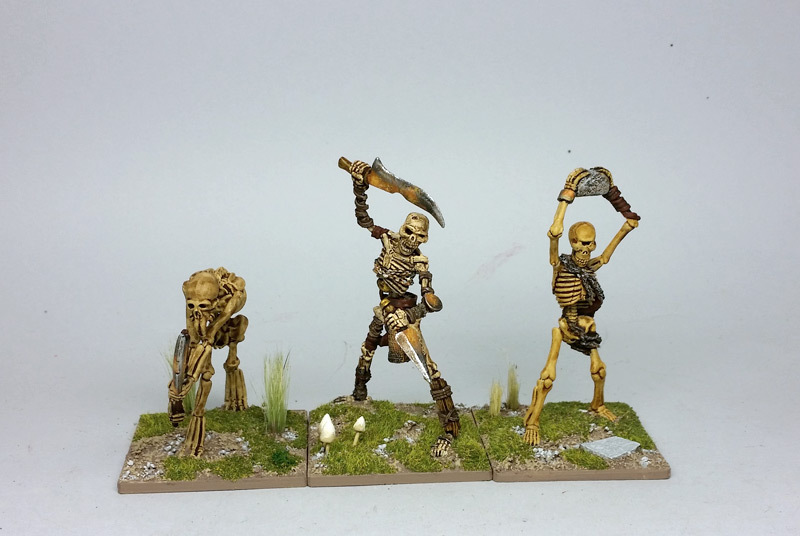 I am still on the hunt for more skeletal ogres that will fit with the two from Ral Partha Europe. I keep thinking about trying to sculpt my own -- and have two ogre skulls started -- but that takes more time than I usually have available. The only reason I can paint most of these skeletons & undeadish at a fast rate is the simplicity of the colors & painting style. Great stuff. You have a talent for finding a new angle on these old mini's. 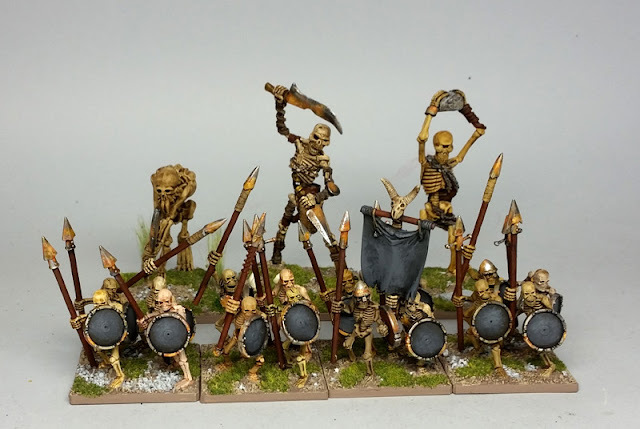 These gaints look great! I especially like the middle one. I enjoy your work, keep it up.